Belle Voci choir will present their annual Candlelit Christmas Concert in St Joseph’s Church, Ferryhouse, Clonmel, on Thursday, December 13th at 8pm. Admission to the concert is free with donations gratefully accepted towards The Emma Lacey Trust. The Trust was established in August to support a 23 year old Clonmel woman, Emma Lacey, whose life has been shattered by debilitating spinal diseases for six years, and a brain condition diagnosed earlier this year. 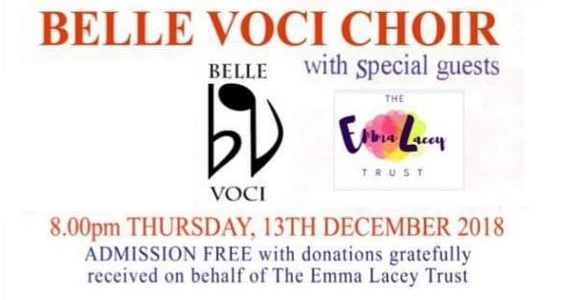 Emma, who has an amazing voice, was guest singer at the Belle Voci summer concert in May 2015. The concert will have performances by other guests including local singer Sean Callaghan and musician Dave Corbett. 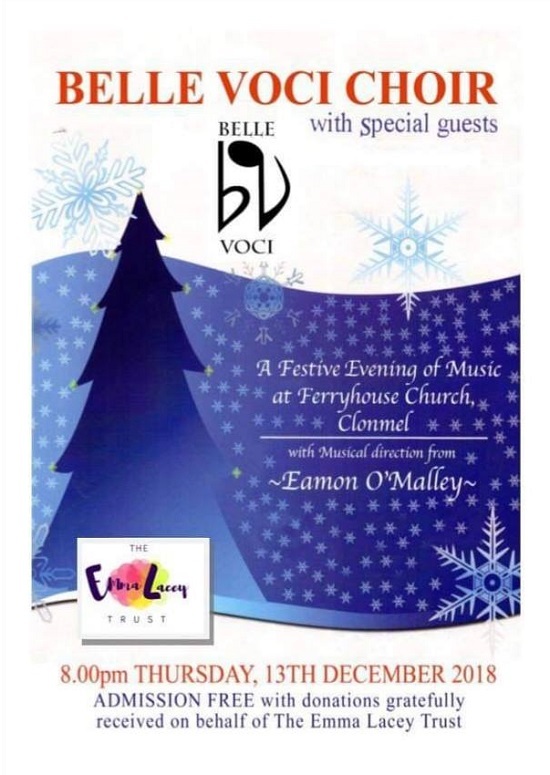 Belle Voci are a local all-female choir under the musical direction of Eamon O’Malley. The have performed at national and international events as well as performing locally. The choir is grateful to Fr Paddy Pierce for the use of St Joseph’s Church, Ferryhouse as the concert venue, and for rehearsal Monday evenings throughout the year.